Carlsen – Caruana 2018 game 6 LIVE! Carlsen plays the line by Lc0 and queens are exchanged. The speed at which they are playing suggests this is all preparation. So far with Carlsen on the white side we saw English, Four Knights, Kingside Fianchetto in game 2 and Queen’s Gambit Declined in game 4. Carlsen always downplays his opening preparation. The fact is he is extremely well prepared and will look today for an opening advantage early on. 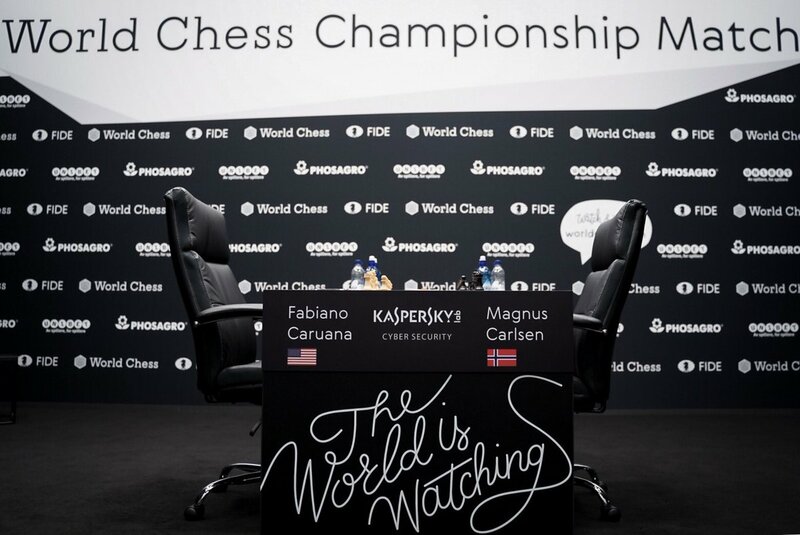 Welcome to the live coverage of the Carlsen – Caruana match. Five draws so far, but all is going to change soon. The day of the two consecutive white’s has come. As per the rules, whoever started the match with black will have two consecutive whites in games 5 and 6 and will finish the match with black too. Carlsen’s team certainly have prepared for this a sharper, more interesting and more surprising line. 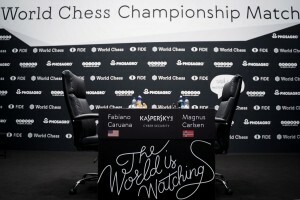 Is Caruana ready to counter the home preparation of Carlsen? So far the American has been extremely solid with the black pieces, one would say he is more comfortable than playing white.